Color played an important role in the early modern world across a number of areas from arts and crafts to Christian religion to politics to natural history and philosophy. In recent years, scholars have begun to explore how early modern men and women engaged, produced and conceptualized colors within and across color worlds. Just as in early modern culinary and medical recipes, seasonality is a recurrent theme in artisanal recipes. The art of preservation was highly valued for its powers to make flavors and healing properties of foodstuffs, plants and herbs endure well beyond their seasonal availability. In my contribution to the seasonality series I focus on recipes that celebrate the art of color preservation and on the mindful attention to seasons called for in color making recipes. I am particularly interested in the challenges that recipes for making natural dyes and pigments from seasonal products posed to modern historians trying to reconstruct them. Today the symbolic significance of colors in early modern Europe is perhaps most readily associated with the compellingly colorful medieval and renaissance art works that have survived in sacred spaces and museums. Figure 1, Caption: Giotto (1266-1337), The Scrovegni Chapel frescoes, Padua, Italy. ca. 1305. Image from Wikimedia Commons. But in the pre-modern period a deep concern with colors was not limited to the arts: colors were associated with the four humors and close attentiveness to colors was of vital importance to practices of healing in the Hippocritean and Galenic medical tradition. The perception and display of colors was also highly charged with political meanings: colors were a form of symbolic communication and played an important role in consolidating and displaying religious and secular power relations. 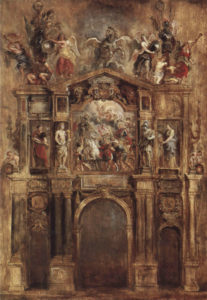 European courts and courtly events were important sites of “chromatic politics” as contemporary witness accounts and meticulous historical reconstructions of ephemeral, yet splendid and compellingly colorful festive events have shown. The historical reconstruction of a sixteenth-century dress, originally created for the Augsburg Imperial Diet from 1530, is a particularly compelling example of the politicized use of brightly colored dress made from dyed textiles. The owner of this dress and his contemporaries might have regarded its colors “as related to intrinsic qualities and powers”. Deep scarlet reds were regarded at that time “as carriers of life and heat, while a strong yellow was linked to gold as metal, which had given its powers by the influence of the sun”. Ulinka Rublack notes the challenges encountered during the reconstruction process. 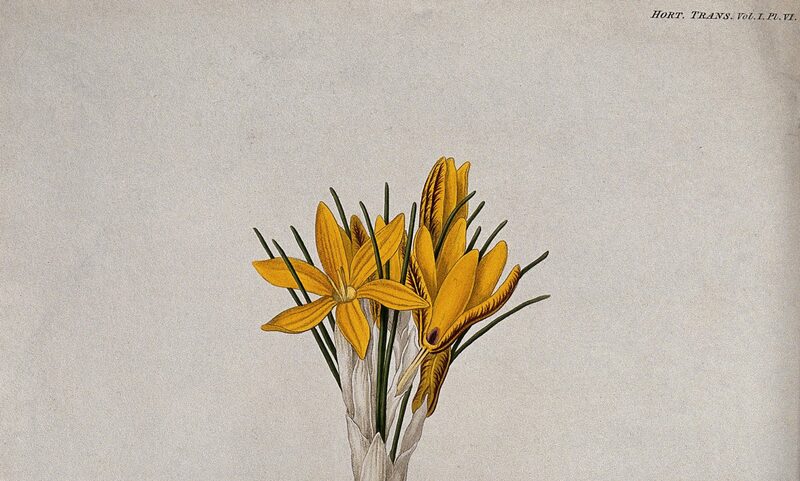 The yellow color obtained in their first dying trials “was just not quite vibrant enough” which was detrimental “as faded hues of yellow could have negative associations of weakness and coldness”. Take the berries of buckthorn towards the end of the month of August, boil them with pure water, until the water is loaded and thick with color; add a little burnt roche alum and then strain it. You may boil the strained liquor to make the color deeper, mixing with it some very pure gilder’s gesso; then make the color into pellets, and dry them in the shade. In color recipes such as this one, seasonality and intimate knowledge of seasonal products sensitivities to additives play a key role. Berries had to be picked at specific times of the year to attain the right hues, and while the juice of ripe buckthorn, available in most of Europe, gives a greenish color, also known as sap green, one needs to get hold of unripe berries, fresh or dried, in particular a species imported from the Middle East, also known as “Persian berries”, to attain the deep golden yellow hue that the reconstruction team had envisioned for this dazzling sixteenth-century dress. Only by patiently repeating the dye processes using the right berries picked at the right moment, can the desired vibrant hue of rich quality be achieved – both in the early modern period and during 21th century reconstruction. Thus, the commission of brightly dyed dresses for display at important events must have been a time-consuming affair that required planning long ahead of the political event and entailed a collaborative process of sourcing and experimenting that depended not only on seasonal knowledge and availability, but was also prone to risks of seasonal change. As Rublack’s work shows, reconstruction research makes us of acutely aware of the complexities and risks posed to those who aspired a part in the “chromatic politics” of the Holy Roman Empire in the sixteenth century. Moreover, as I will show in my next post, color recipe reconstructions allow us to experience the efforts and knowledge that went into the creation of early modern color worlds, which have become unfamiliar to our modern period eye. Tarwin Baker, Sven Dupré, Sachiko Kusukawa, and Karin Leonhard, eds., Early Modern Color Worlds (Brill, 2016). Baker, Dupré, Kusukawa, and Leonhard 2016, 4. Ulinka Rublack, “Renaissance Dress, Cultures of Making, and the Period Eye.” West 86th: A Journal of Decorative Arts, Design History, and Material Culture 23, no. 1 (March 1, 2016): 6–34. doi:10.1086/688198. Maria Philadelphia Merrifield, Original Treatises, Dating from the XIIth to XVIIIth Centuries, on the Arts of Painting, in Oil, Miniature, Mosaic, and on Glass; Of Gilding, Dying, and the Preparation of Colours and Artificial Gems (John Murray 1849), 708. Jo Kirby, Susie Nash, and Joanna Cannon, eds. Trade in Artists’ Materials: Markets and Commerce in Europe to 1700 (Archetype Publications, 2010) Glossary, 447.